There’s a lot of interest in New York concerning the downtown art scene from the 1970’s though the 1980’s. It’s a scene that no longer exists. It encompassed Soho ,Tribeca, and the East Village. All the galleries have moved from Soho to Chelsea and the East Village is just an expansion of NYU. Tribeca has become the home of Hollywood. Indeed, the Fales library and the Grey Art Gallery have put on an exhibition of ephemera from that period. I haven’t seen the show yet, but then again I lived through that period. 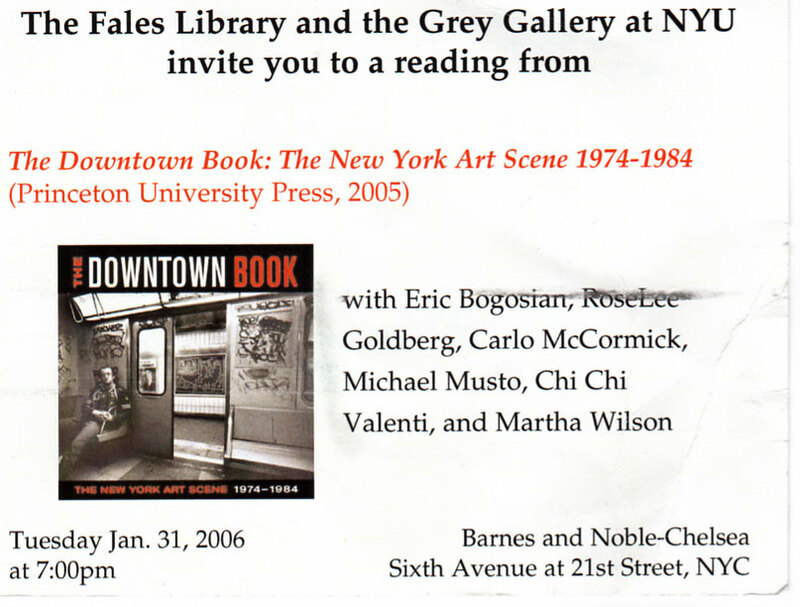 Last night I went to hear Eric Bogosian, Carlo McCormick, Michael Musto, Chi Chi Valenti, and Martha Wilson talk about the Downtown Book: the New York Art Scene 1974-1984. Eric gave beautiful description of what it was like to be young at that time while he asserted that he wasn’t a performance artist and although he had taken advantage of the performance art scene to hone his craft he was just an actor. Carlo talked about kids, clubs, bands and graffiti. Chi Chi talked about dressing up and going to the clubs to show out (I remember that Alan Moore coined the term “Clubism” at the time because what was happening in the clubs was more interesting than the art). Martha Wilson talked about the performance scene and how ephemeral it all was. What I remember most was the poverty. We were all so piss poor. I couldn’t afford materials, barely paid my rent and was often thrown out after non-payment. 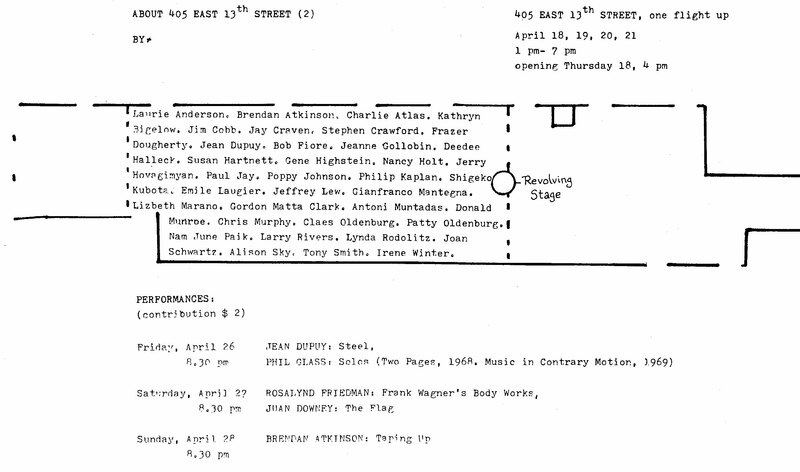 When artnetweb started in 1994 I was thinking of writing a book called New York Underground:1975-1985. I started to develop the project and even had a book person on board to build the dummy. When I started to research the project I was overwhelmed at the enormity of the endeavor. How could I include everyone? Anyone that I missed would be upset. There was also the sneaking suspicion that by organizing all the info to my point of view I would be making it one-dimensional. I dropped the project. Now we have the NYU/ Carlo McCormick version of history. A history that is incomplete. It’s quite odd that I happened to visit Jean Dupuy while in France this time. He was part of an alternative space movement that spanned the East Village and Soho. You might say that he was a major player. He gave me a 240 page “book” consisting of artists statements, and bad photos of installations and performances for all the shows he had organized. 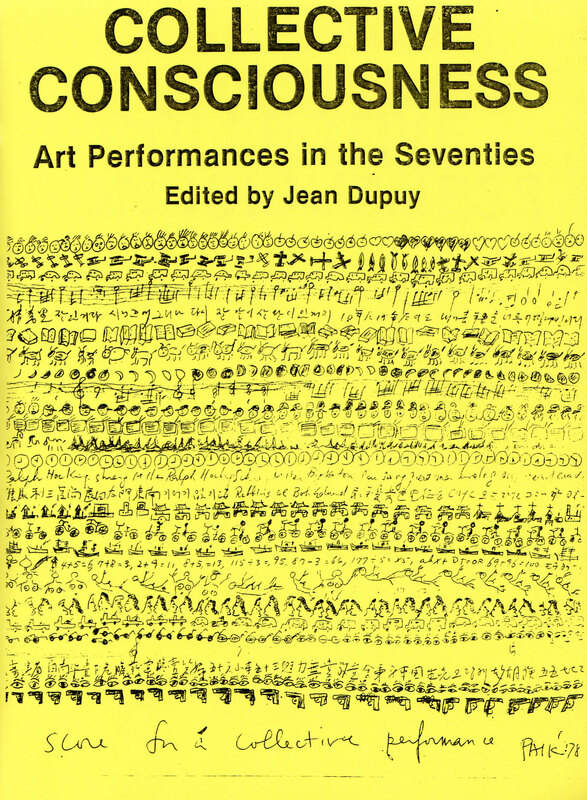 The name of the book is, Collective Consciousness: Art Performances in the Seventies, edited by Jean Dupuy. I strongly suggest that anyone interested in that time period read this book. It will give you a true picture of the events as they happened. I would also suggest that you read 112 Workshop/ 112 Greene Street edited by Robyn Brentano with Mark Savitt, 1981, New York University Press. 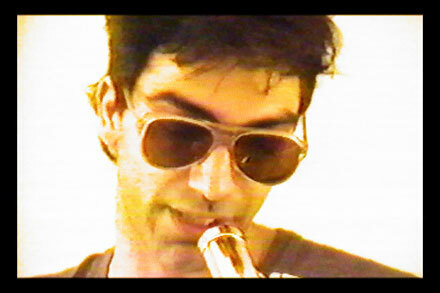 One video performance work that I did which survives to this day is a piece called, Rich Sucker Rap (1978). The reason it survives is because it’s part of a video called Chant Acapella that was done by Jean Dupuy and Davidson Gigliotti. I recently showed this to the students at Nice as part of my talks. At the time I did the performance it was one of three I did at Artist’s Space during an open mike performance night. The other two were deemed too extreme for those times. I was drumming in a Punk Band called the Communists. 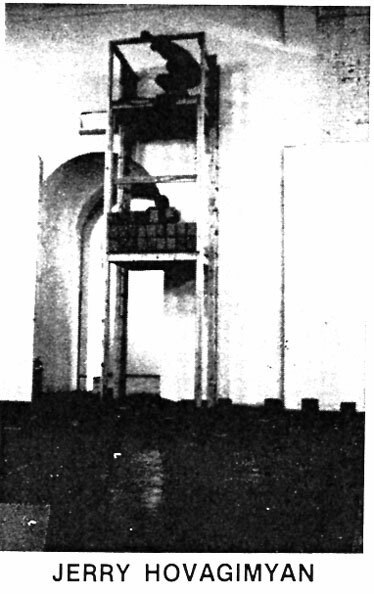 Some of the “No-Wave” bands were rehearsing in my loft on Greenwich Street. In the Chant Acapella performance I used words as a percussion instrument. This was long before Rap became a music style. The words themselves are very aggressive, punk and confrontational. You could label it early gangsta style. I’ve used the Punk performance style in some recent works as well including Palm Rants (2000-2001) and Rant/ Rant Back/ Back Rant (2003-2004). Indeed, much of what Jean Dupuy did and what many other artists where involved in at the time was a relational aesthetic. That’s why the recent book by Nicolas Bourriaud has captured my attention. It’s a way to look at everything that occurs around and outside the art object and give those occurrences the equal weight they deserve. 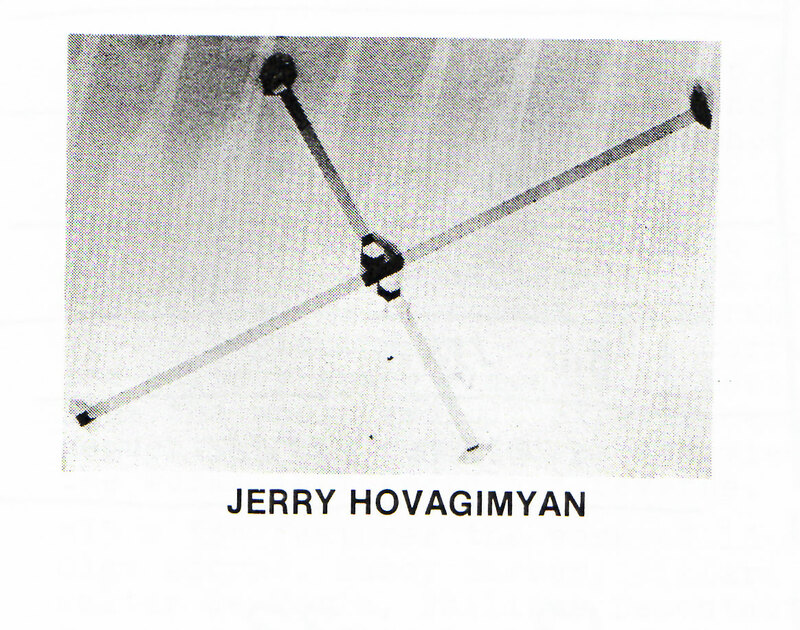 Speaking of Relational Aesthetics, my first solo show at 112 worshop in September of 1974 was pure Relational Aesthetics. It was titled, Control Designators. The show was a series of 24 inch signs that were in sets of 100. 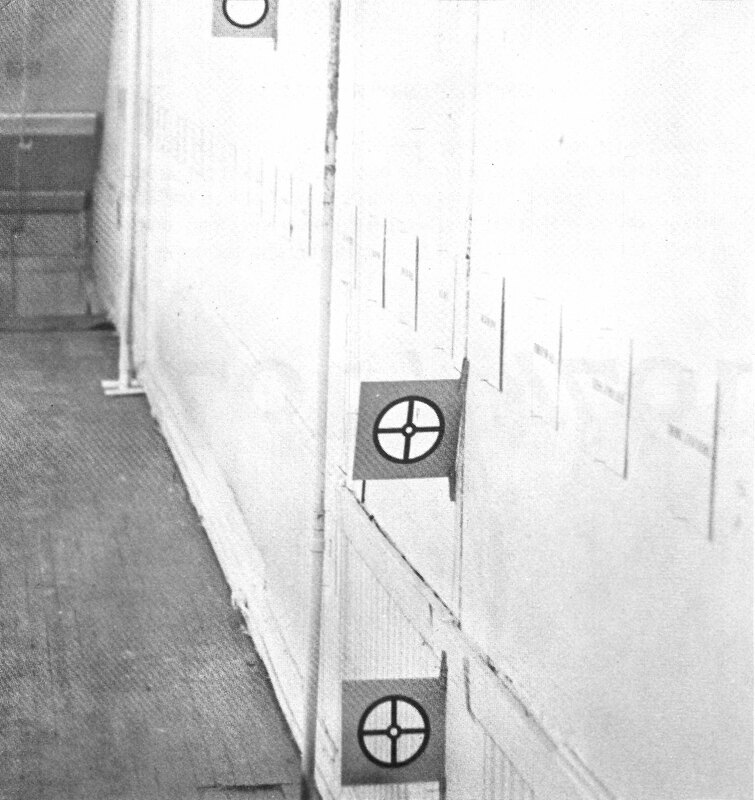 There were language signs, numerical signs and visual or line-of-sight signs. These were put up all over the surfaces of 112 and were a coded system for the interstitial relations in a social space. Oddly enough they are related to the basis of computer systems although I didn’t realize it at the time. Since I am rediscovering my early art works via Jean Dupuy I will add that I was also using colored mat board, used to mat drawings, to create 3d sculptural pieces or maquettes. These I called, Thought Models. I showed one such piece in a showed organized by Jean Dupuy, Sculptor’s Drawings(1975) at James Yu Gallery.